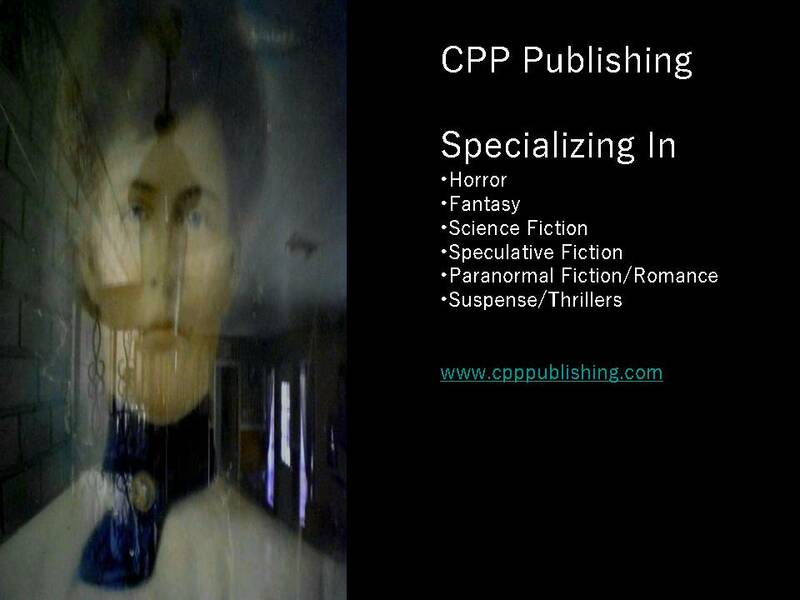 CPP Publishing is the publishing platform that serves paranormal author Bonnie Taylor and her debut series of novels and novella's, The Not Forgotten Series. CPP is an advocate and supporter of independent authors and small press publishing houses. In addition, we are always on the look out for indie partners to assist in the publishing process. This includes editors, cover designers, and both visual and musical artists for book trailers and merchandise design. While our primary focus is fiction, and specifically paranormal, science fiction, and horror, we believe that every good story teller should have a voice. We also believe that the world is due for another Renaissance and that it is the struggling artists who ban together to share their creative passion that will usher in the new age of expression and give the world the classic literature of tomorrow.